A New Zealand shopping centre has unveiled a gender fluid Santa Claus as its Christmas display. 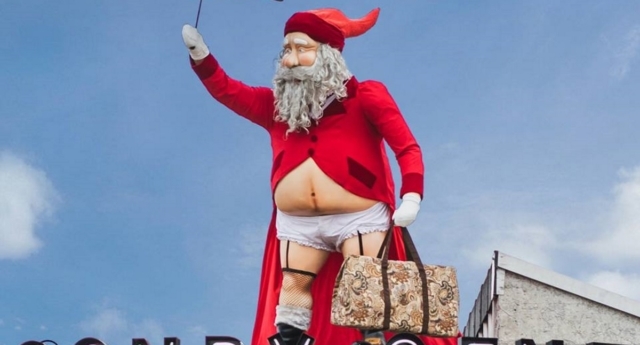 The new version of Kris Kringle, dressed in knickers and fishnet stockings, is modelled after Mary Poppins, carrying the magical British nanny’s umbrella and a carpet bag “full of presents,” according to the Ponsonby Central complex in Auckland which it stands over. 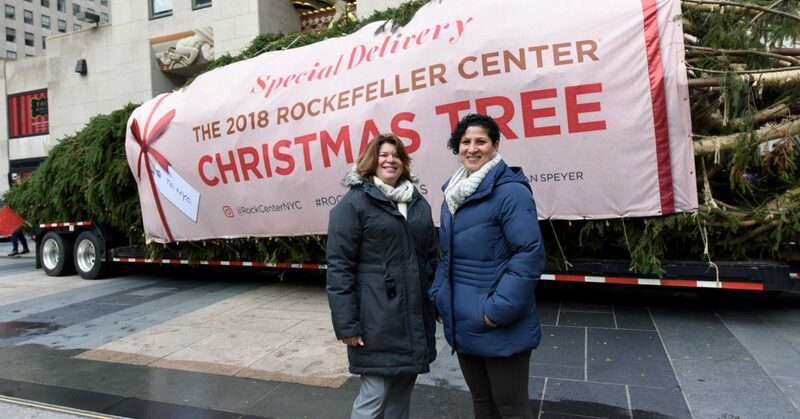 The gender fluid Santa’s creators defended their depiction of the jolly gift-giver, which was revealed on Thursday (November 29), saying that Santa’s image was up to your personal interpretation. They explained that “our representation of Santa can be Mary Poppins or whatever race/gender/persuasion we prefer and can imagine,” according to Newshub. The gender fluid Santa display was reportedly planned since August, but was coincidentally unveiled in the same week that the country’s Leader of the Opposition Simon Bridges mentioned Mary Poppins while saying Santa should be played by men. Bridges, who heads the centre-right New Zealand National Party, told Three’s radio programme The AM Show: “Mary Poppins is a woman, Santa Claus is a man. That’s how it should be,” according to The New Zealand Herald. He continued: “I think it’s just PC gone—I don’t know if it’s mad, but too far. You guys this morning are telling me that man didn’t walk on the moon, now you’re telling me Santa’s a woman. Many people on Ponsonby Central’s Facebook page wrote abuse to the shopping complex, calling it “sick,” “perverts,” “mentally ill” and “bloody disgraceful” for putting up the stereotype-smashing Santa—and even threatening a boycott. Others, however, loved the display.